All around the world, Nashville is universally known as Music City. Boasting more than a thousand live music venues and countless recording studios, it is certainly a name well earned. In recent years it is even become a destination for quirky one-of-a-kind dining experiences, especially with the surprise popularity of Nashville Hot Chicken popping up in nearly every corner of the pop culture lexicon. I have had the esteemed pleasure of residing in Music City, USA for the past 14 years and while I love the vibe and culture that Nashville affords, there is one area in which it is severely lacking—good quality barbeque! Not to say that there Nashville is completely lacking in places that will splash barbeque sauce on some random protein product for you, but a solid down home spot for soulful, saucy, smoky and delicious barbeque has yet to make its way to Cashville. If you happen to be a fan of barbeque spots like Jim and Nicks, Smokey Bones or Bar-B-Cutie, those qualify as chains and win at preparing barbeque because they mass produce barbeque flavor for the masses and do so very well. The complaint comes from a severe lack of places where really good pit barbeque can be obtained. By pit barbeque, I mean flavorful pork shoulder, tender smoked brisket, smoky barbeque ribs and tender grilled barbeque chicken. The preparation is also what is key in depicting a good barbeque. Cooking requires either coals or wood. Smoking and indirect heat preparation are a plus and being able to enjoy it with or without sauce is a must. Very often local spots that serve barbeque food will specialize in one of these (Smokey Thighs and its delicious chicken) but never covering all of the bases needed by any real life barbeque lover. When I initially moved to Nashville, I was excited to try spots like Mary’s on Jefferson Street and more recently Edley’s out in East Nashville but both fail to deliver the genuine experience. While they both have items that they do well, both fall short in presenting consistent great barbeque from a traditional flavor standpoint. Having a great sauce is not a substitution for good seasoning on the meat itself and adding a bunch of extra ingredients will not replace fully buying into making full authentic barbeque. The one bright spot in the barbeque desert that is Nashville went dark when the Memphis-based Neely’s barbeque restaurant closed the doors of its Metro Center location. This family-owned restaurant brought a lot of the down-home charm of its Memphis store to Nashville with a barbeque style all its own. Much traditional barbeque flavor was served there along with newer fresher takes on items like barbeque nachos and seafood. 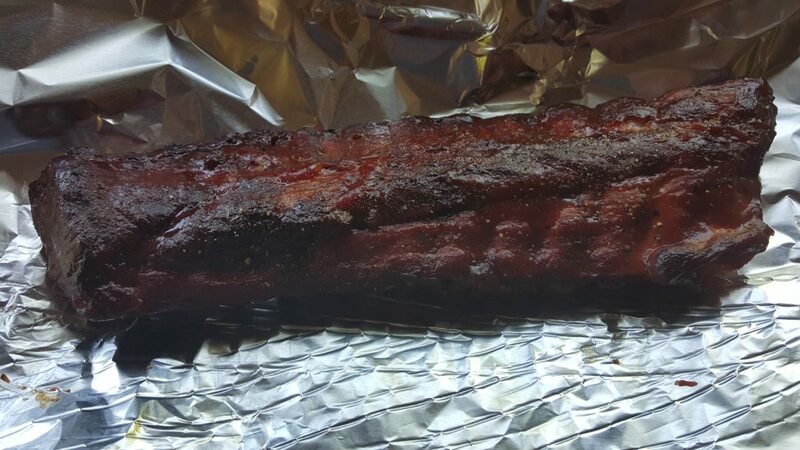 Much to my surprise, there are a few great places to eat that can give you a little barbeque flavor around the city, especially in East and South Nashville. As Nashville continues its rapid growth, hopefully, a barbeque location will appear (or an existing one will reveal itself) and take its places among the hot chicken pantheon currently ruling the roost in Music City.